Kevin McCue originally published this article in June 2012. 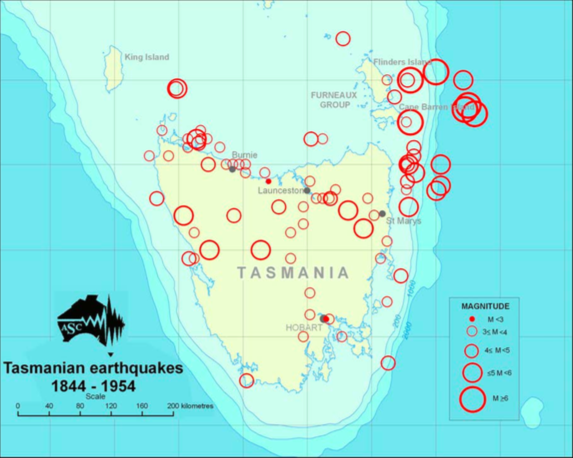 It has been updated in 2015 with additional information on the earthquake history of Tasmania. Download Historical Earthquakes in Tasmania v2 (3.5MB PDF). You can download the 2012 version here.